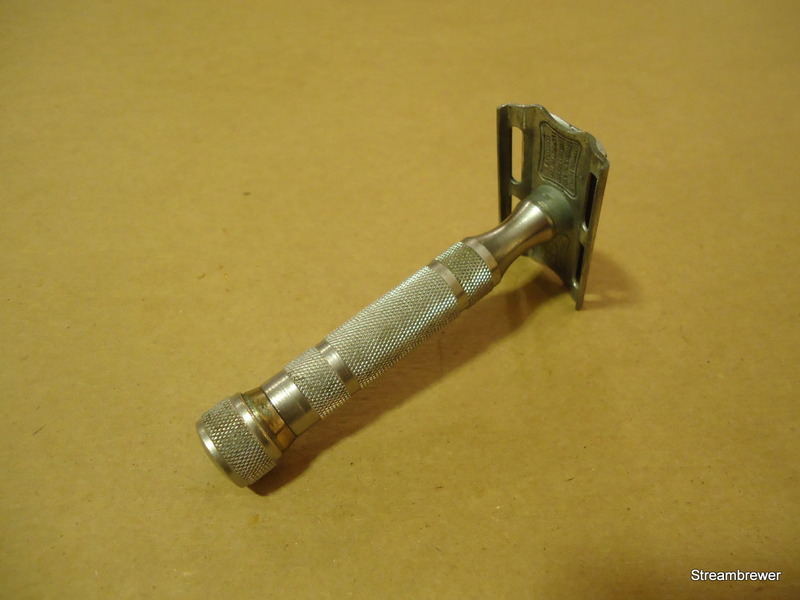 One last razor to list for sale. rices shown are shipped CONUS. Outside of that, shipping will be the difference between CONUS shipping and your location (ie. if you're in Canada and it were $15 for first class shipping, it would be $15 - $5 (estimated domesting first class price) = $10. 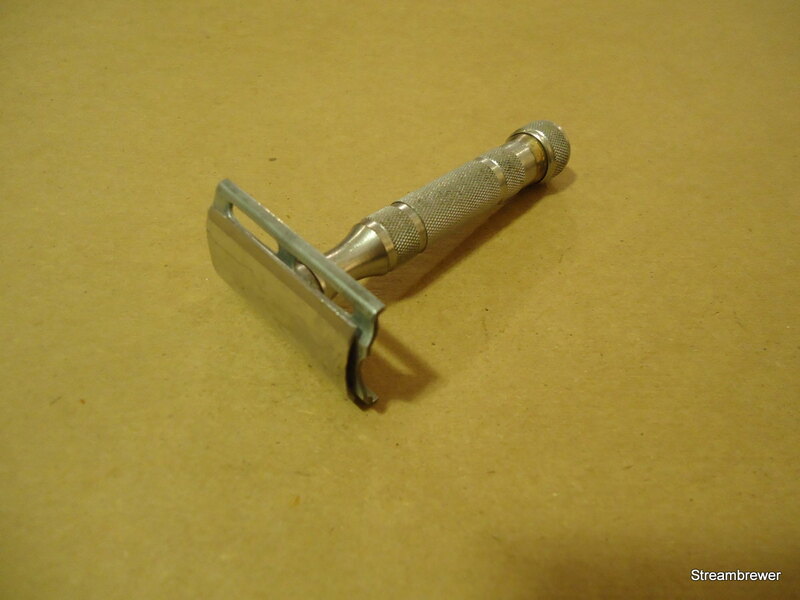 This is a twist to open Segal razor. I have had and enjoyed several. This is the solid bar version, rather than the open comb, and this seems to be a little harder to find. 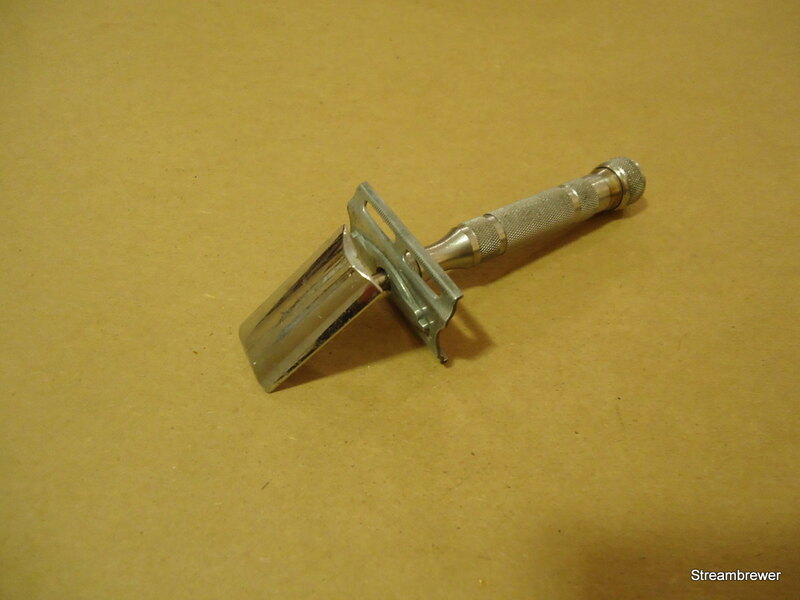 These are also gentle shavers, and kind of a cool mechanism. User grade with some wear to the plating. $20 shipped.